CBn reports that Pinewood Studios: 70 Years of Fabulous Film Making by Morris Bright is now available on Pinewood’s website in the UK. The book was previously released on June 1 of this year, but the copy at Pinewood’s website is a limited edition with an embossed Pinewood logo. The book includes over 500 photographs and never before seen images from the Pinewood studios archive as well as commentary spanning Pinewood’s 70 years of filmmaking. The book comes with a foreword written by Dame Judi Dench and an introduction by Tim Burton. 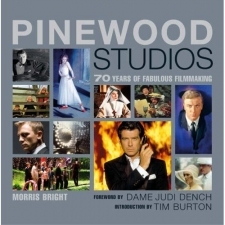 You can also get the book on Amazon.co.uk for the same price sans the embossed Pinewood logo.